Bard & Baker, the Capital District’s first board game café. 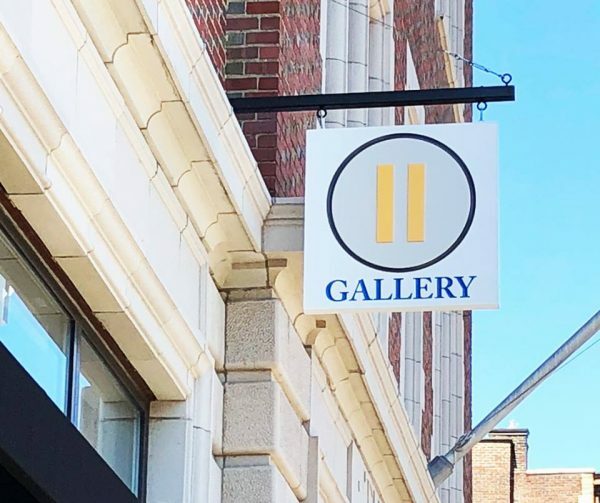 Pause Gallery, a newly established purveyor of high quality art and fine craft. Flowers By Pesha, a popular full service floral shop. 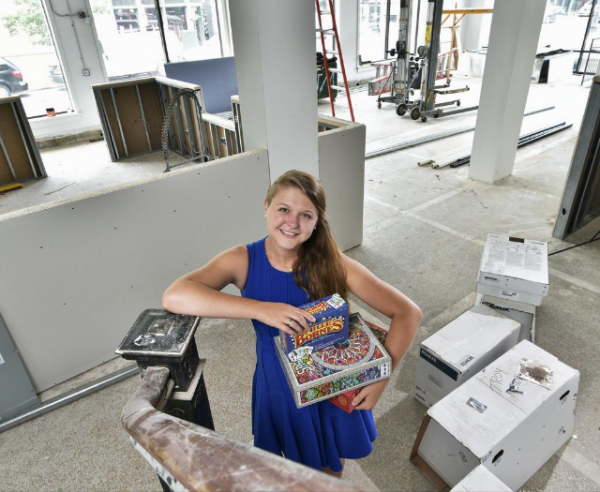 Bard & Baker will be the Capital District’s first board game café, featuring more than 350 titles ranging from classics such as CLUE, Stratego, and Scrabble, to Eurogames like Catan and Ticket to Ride. The café will offer familiar comfort foods, an extensive dessert program, and a tea-focused beverage menu. The project has been highly anticipated, and was the grand prize winner of the Capital Region Chamber’s Entrepreneur Boot Camp business plan competition and a finalist in the All Over Albany 2017 Small Business Grant Competition. The café will be located on the corner of Broadway and 5th Avenue. “We had been looking at various locations for Bard & Baker, and we found that The News fit our criteria perfectly – the space is highly visible and has close proximity to the RPI and Russell Sage campuses,” said Bard & Baker owner Charlotte Guyton. “Furthermore, we found a great partner in The Rosenblum Companies, whose care for us during the leasing process, as well as their approach to sustainability and community, impressed us from day one.” Read more about Bard & Baker in the Albany Business Review here. Pause Gallery‘s mission is to be a source of high quality art and fine craft at affordable prices. Owners Gail and Lou Snitkoff support artists and artisans, while connecting them with new customers and building a community of people who appreciate unique, handmade objects. Pause Gallery offers works on paper, including photography, digital art, watercolor and acrylic painting, mixed media and encaustics. In addition, the gallery has glass, ceramics and wood, and both functional and sculptural art. Flowers by Pesha already has a strong following in Downtown Troy and the surrounding communities, and is an award winning, full service floral shop, offering a wide variety of fresh floral arrangements and plants, as well as balloons, candles and gifts. Flowers by Pesha offers other services which include Weddings, Special Events, Sympathy floral arrangements and Plant Maintenance for your office. “We are looking forward to being part of The News Family. The Rosenblum Companies have been great partners throughout this process, and very helpful and accommodating during our transition to our new neighborhood,” said Mark and Pesha King, Owners of Flowers by Pesha. 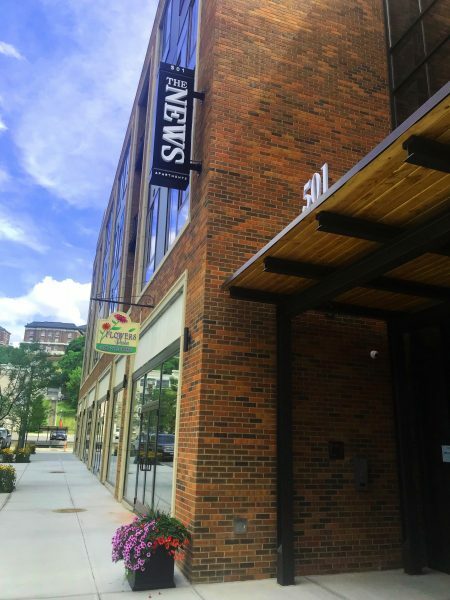 “The News Apartments has a combination of amenities unique amongst downtown apartment buildings in the Capital Region and we see this exciting and diverse group of retail businesses as an extension of those services, as well as a great addition to our up-and-coming neighborhood,” said Seth Rosenblum, CEO of The Rosenblum Companies. Pause Gallery and Flowers by Pesha opened in July. Bard & Baker will follow in September. For more information about The News Apartments, visit www.thenewsapartments.com or contact our property management office at 518-250-4840.